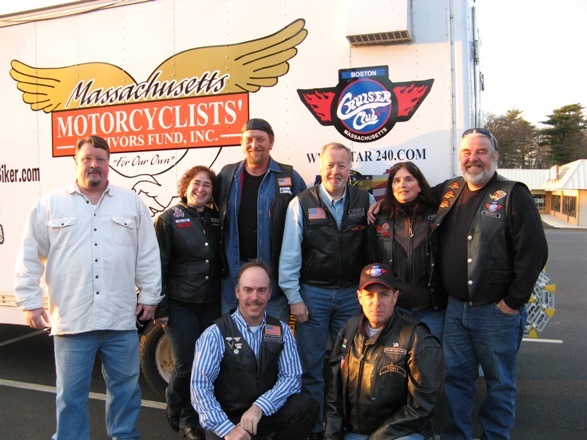 The Massachusetts Motorcyclists’ Survivors Fund (MMSF) is a nonprofit organization of all volunteers who raise funds to help local families of riders killed or seriously injured in accidents, and promote motorcycle safety and awareness to help reduce accidents, injuries and fatalities. MMSF, and the families we support, are always appreciative of your donation. Donate online securely, now. You can buy tickets to an upcoming MMSF sponsored event (list here), buy a raffle ticket, or pick up MMSF merch (like T-Shirts, Sweatshirts, Hoodies) in our online store. Join MMSF’s mailing list for news upcoming events near you, and announcements about issues that affect riders everywhere. Want to volunteer? We could use your help! Volunteers help make Nelson’s Ride possible. Are you available to help set up? Clean up? Sell tickets? Send us an email, and tell us where you live and how you’d like to help. Become a corporate sponsor or supporter of the MMSF or any MMSF sponsored event. Or, take a place as a vendor at an MMSF event. You can be a part of something special, and show your support for local riders, while exposing yourself to new customers. Review our SPONSORSHIP KIT, and then sign up! Send us an email for info on getting your logo on the MMSF’s Mobile Events Van. 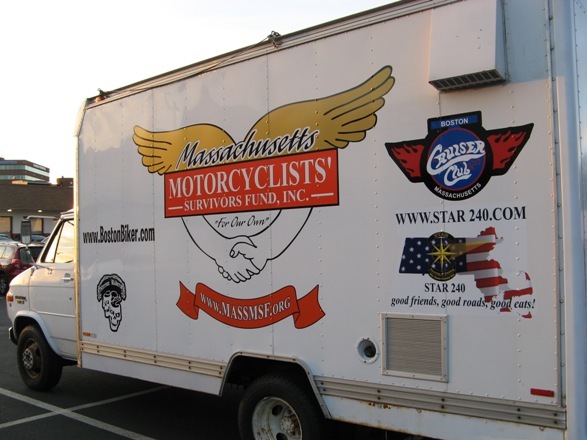 The Cruiser Club / Boston had their logo on our MMSF Mobile Events and Safety Van as a longtime supporting group! TONS of thanks!